Farmers Auction & Flea Market. Route 62. 18 miles NE of Canton. Hours 9am-5pm. Ample parking. Approximately 50 dealers. Average attendance 500-1000. New merchandise, antiques, collectibles, crafts, large selection of new furniture. This is a real pleasant country market. Mark your map so you don't miss this one. Overnight parking. Snack bar, restrooms, h/a. Space from $20. c/p George Pilla, 1500 S. Mahoning Ave., 44601. (216) 823-2302 or 823-8242. Pymatuning Lake Drive-In Flea Market. South of town. Admission charge. Ample parking. Approximately 400 dealers. Large, classic midwestern flea market with great selection of collector lines, small antiques, primitives, sometimes loads of antique furniture here, wide range of new and used merchandise. Food available, h/a, lots of walking, restrooms. Space from $2.75. (440) 293-7757. Shady Rest Flea Market. Highway's 250 and 93. Hours daylight until dark. Ample parking. Outdoor market with approximately 40 dealers. New merchandise, lots of used garage sale and bric-a-brac. Snack bar, restrooms, h/a. Space from $6. per day. c/p Mildred Miller, 1762 Johnstown Road NE. Dover, OH 44622. (216) 343-9508. Market open April-October. Bloomfield Auction & Flea Market. Route 87. 1/2 mile West of town. Hours 6am-4pm. Ample parking. Indoor and outdoor market with approximately 150 dealers. Crafts, antiques, collectibles, new and used merchandise, & produce. Lots of Amis goods, food and buggy's. Snack bar, restrooms, h/a. Space from $6. c/p Bill Herman, Box 51. Kinsman, OH 44428. (216) 875-4403. Wood County Indoor & Outdoor Antiques & Flea Market. Antiques, collectibles, country primitives & Victorian era items, dolls, toys, glassware, advertising items, furniture, used desirables of all descriptions, handcrafted treasures, some reproductions. (419) 352-1861 or 352-0969. Bowling Green Flea Market. Route 64 and Poe Road. Antiques, collectibles, furniture, jewelry,vintage clothing, kitchen collectibles, advertising items. New and used merchandise. Food available, restrooms, ample parking. Inside & outside market at Junior Fair Building. Camping available. Old Stark Antique Faire. Stark County Fairgrounds. 305 Wertz Ave. Free adm, ample free parking. indoor/outdoor market. Strong antique, collectibles and smalls market. Approx 200 dealers. Snackbar, restrooms, h/a. (216) 478-1602. Finneytown Flea Market. 1047 W. Northbend Road. Ampel parking. Indoor market. New merchandise, electronics, housewares, decorator items and home furnishings, jewelry, sports merchandise, children's items. Used merchandise, garage sale items, collector items. Snack bar, restrooms, h/a. (513) 681-7250. Stickers Grove Flea Market. Rt 128. One mile south of Ross. Hours 9am-5pm. Ample parking. Approximately 100 dealers. Antiques, furniture, collector lines, new & used merchandise. Food available, restrooms, h/a. Open June-September. c/p Ohio Valley Promotions, 9468 Reading Rd., 45215. (513) 733-5885. Village Flea market. 2095 Seymore Ave. Indoor/outdoor market. Approx 20 dealers. (513) 351-3151. Pickaway County Flea Market. U.S. Route 22 East. Ample parking. Approximately 90-100 dealers. Antiques, always a great selection of collector lines and country and farm collectibles. Country primitives. New and used merchandise, garage sale items. Food available, restrooms, h/a. Space from $10. Camping w/showers avail. Electricity available. Reservations recommended for inside space. No drug paraphernalia sales allowed. c/p John or Melissa Rodgers, Box 93, Williamsport, 43164. (740) 474-2085. Clark Avenue Flea Market. 5109 Clark Avenue. Hours 11am-6pm. Ample parking. Indoor/outdoor market with approximately 60 dealers. Antiques, collectibles, jewelry, glassware, indoors is mostly permanent shops with some nice quality items. Excellent restaurant, clean restrooms, h/a. Clean, friendly market. Outside space from $4. c/p Fred Scafe, (216) 398-5283. Lee Road International Market. 4115 Lee Road. Indoor market. New merchandise, closeouts, surplus, decorator items, gift items. Good shoppers market. (216) 491-9058. The Bazaar. 4979 W. 130th St. 44135. Corner of Brook Park Road. & W. 130th Street. Hours 10am-6pm. Primarily permanent dealers on monthly basis. Lots of collectibles and secondhand items. c/p John Grace, (216) 362-0022. Antiques & Collectibles Show. Ohio State Fairgrounds. I-71, Exit 17th Avenue W. $3. parking charge, ample paved parking. Large quality market with approximately 1,000+ dealers. Antiques and Collectibles only. Usually 3rd weekend of the month. One of the better quality antique events in the country. For those in the trade this is a great source market. Food available, restrooms, h/a. Inside space from $75. Outside from $54. c/p Don Scott, Box 60, Bremen, OH 43107. (740) 569-4112. Fax (740) 569-7595. Westland Indoor Flea Market. 4170 W. Broad Street. Hours: 10am to 7pm. Ample parking. Large indoor market with primarily new merchandise, electronics, sportswear, sports items, house wares, tools, some collectibles and used merchandise. Snack bar, restrooms, h/a. Space from $10. per day. c/p Doug Hott, 865 King Ave, 43212. (614) 272-5678. Oakwood Antiques & Collectibles Market. 3265 Oakwood Drive. Ample parking. Indoor/outdoor market with approximately 10 dealers. Small market with mostly secondhand and garage sale items, some collectibles and decorator items. Snack bar, restrooms. Space from $10. per day. c/p Bill Kern, (330) 673-4762 or 923-7745. Merchants Market Flea Market 3700 Keats Dr. Hours are from 9am-5pm. We have ample parking. Average attendance is expected to be about 4,000. There is spaces for approximately 400 dealers. To be expected are new merchandise, house wares, sportswear, electronics, jewelry, children's items, tools, sports merchandise, decorator items, gift items. Snack bar, restrooms, h/a. Inside and outside space available. c/p Larry or Ken, 3700 Keats, 45414. (937) 278-3924. Dover Flea Market. 120 N. Tuscarawas Avenue. 44633. Ample parking. New merchandise, sportswear, house wares, jewelry, sports merchandise, clothing, children's items. Used merchandise, decorator wares, collectibles, primitives. Snack bar, restrooms, h/a. Indoor and outside space avail. c/p H. Ricer, (330) 364-3959. Preble County Flea Market. Route 122 South. Fairgrounds. Ample parking. Approximately 75 dealers. Antiques, collectibles, farm amd country collectibles. Silver, coins, jewelry, vintage clothing. Food available, restrooms, h/a. Inside and outside space. Eaton is also the home of the Preble county Pork Festival, one of Ohio's better special events. The festival is always held in early September. c/p Myron Peer, (513) 456-4709. Web Flea Market. 7500 New Haven Road. Approximately 300 dealers. Ample paved parking. Large classic midwestern market with a great selection of new and used merchandise. Many booths of collector lines, silver, glassware, primitives, advertising items. Also housewares, clothing and fashion accessories, giftware. Food available, restrooms, h/a and lots of walking. Inside and outside spaces. c/p Marge Weber, 3411 Spring Grove Ave., Cincinnati, 45225. (513) 738-2678. Schome Flea Market. 8862 Dayton Oxford Road. 45005. Admission charge. Ample parking. Average daily attendance 1,500. Approximately 125 dealers. New merchandise, used merchandise, garage sale items, farm items, clothing, housewares. Snack bar, restrooms, h/a. Space from $5. c/p Frank Sublett, (937) 746-0389. Hartville MarketPlace and Flea Market 1289 Edison St NW Hartville, OH 44632. Route 619 East of I-77. North of Canton. Open all year Monday and Thursday 8am - 4pm and Saturday 8am - 5pm. Ample blacktop parking. Average attendance 10,000 (more in summer and less in winter). 125 indoor stores and up to 800 outdoor seasonal vendors. 2 covered pavilions. A wide open clean market. All spaces are on concrete or blacktop. A variety of items from fresh meats, cheeses, local produce to antiques, collectibles, clothing, new and vintage home decor, toys and sports memorabilia. Mondays and Saturdays are typically the busier of the days. The biggest days of the year are Memorial Day Weekend, 4th of July Weekend and Labor Day Weekend. Outdoor spaces start at $10.00. Tables available for $5.00. Marion Coblentz, Manager 330-877-9860. Brandt Pike Flea Market, Huber Heights. 6123 Brandt Pike. Marion Meadows Shopping Center, 45424. Hours 9am-5pm. New and used merchandise, lots of garage sale booths, collectibles, crafts. Market is in an interesting city of all brick homes. c/p Ron Kronenberger, (513) 236-5003. Lima Antique Show & Flea Market. Fairgrounds. Admission charge. Ample parking. Approximately 50 dealers. Antiques, collectibles, silver, jewelry, sports cards, vintage clothing, primitives, advertising items. Food available, restrooms, h/a. Indoor market. Market held May-September. c/p Aubrey Martin, 716 S. Main St. 45804. (419) 228-1050. Straw Factory Flea Market. 637 Route 61. I-40 and I-71. Ample parking. Average daily attendance 2,000. Approximately 50-60 dealers. New merchandise, surplus, closeouts, clothing, housewares, jewelry. Used merchandise. Collectibles, good selection of various collector lines, decorator items, advertising items. Food available, restrooms, h/a. Indoor/outdoor market. Space from $6. per day. Market is adding new exhibit building. (419) 258-FLEA. Flea Market. Hilltop Speedway. Route 7. Ample parking. Antiques, collectibles, new and used merchandise, farm & country collectibles, clothing, jewelry, home furnishings and decorator items. Food available, restrooms, h/a. Antique & Collectible Market. Fairgrounds. 735 Lafayette Road. U.S. Highway 42. Admission charge. Ample parking. Approximately 150 dealers. This is a great midwestern antique market with a wide range of collector booths. Many quality items here. Food available, restrooms, h/a and lots of walking. Space from $16. Overnight parking. c/p (330) 723-6083. Traders World. 320 N. Garver Road. Junction I-75 and SR 63. Exit 29. Ample parking. Average daily attendance 8,000. 500 inside spaces and 200 outside spaces. Large, anything goes, commercial market. Merchandise from antiquity to hot, new and trendy. Acres of booths and merchandise. Food available, restrooms, h/a and miles of walking. Space from $11. per day outside. Market has lots of special promotions, live entertainment. One of the area's better markets. c/p Darren Foster. 320 Garver Rd. 45050. (513) 424-5708. 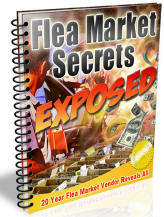 Flea Market & Auction. 619 S. Main Street. (S.R. 107). Ample parking. Approximately 50 dealers. New and used merchandise, closeouts, surplus, housewares, children's lines, home furnishings, clothing, jewelry, collectibles. Lots of garage sale items. Food available, restrooms, h/a. c/p Sam Kunsman, 316 N. Emmet St, Bryan, 43506. (419) 636-1635 or (419) 485-9963. Fairgrounds Flea Market. 619 Main Street. (S.R. 107). Ample parking. Approximately 50 dealers. New and used merchandise, antiques, collectibles, crafts, produce. Food available, restrooms, h/a. c/p Sam Kunsman. 316 N. Emmet St, Bryan, 43506. (419) 636-1635 or (419) 485-9963. North Bloomfield Auction & Flea Market. Approximately 1 mile west of Bloom Center on Highway 87. Hours 9am-4pm. Ample parking. Average attendance 1,000. Approximately 200 dealers. New and used merchandise, clothing, collectibles, housewares, garage sale items. Food available, restrooms, h/a. Inside and outside space available from $10. c/p Jo Herman, Box 51, Kinsman, OH 44428. (330) 876-7233. Hours of operation: 10:00 a.m. - 8:00 p.m.
Fireland Public Market. Route 20 East. Hours 8am-50m. Ample parking. Average attendance 1,000.Approximately 30 dealers. New and used merchandise, lots of garage sale booths, collectibles, decorator items, crafts, produce. Food available, restrooms, h/a. Space from $5. Inside and outside space available. c/p Victor Mooney, Rt 20 Laylin Rd. 44857. (419) 499-2086. Red Barn Flea Market. 10501 Columbus Expressway Park. 43062. Highway I-70. Hours 10am-6pm. Ample parking. Excellent market with a good mix of vendors. This is a very interesting market to browse and poke around in. I have found some real treasures here at terrific prices. Snack bar, restrooms, h/a. Inside and outside market with space from $5. c/p Dave Smith, (740) 927-1234. Antique & Flea Market. General line of antiques and collectibles. Food available. Inside and outside space from $25. Open May through October. c/p Lynn Savial, 23260 Dunbridge Rd., 43551. Lakeview Hall Flea Market. 26879 Lakeview Drive. Perrysburg Freeman Exit. Used merchandise, garage sale items, sometimes new merchandise, collectibles. Open 7am-4pm. Approximately 20 dealers. Space from $16. Average attendance 100. Overnight parking. c/p Carol Hauder, 203 Edgewood Dr, 43551. (419) 874-5013. Pikeston Flea Market. US Highway 23 South. 45661. Ample parking. Hours 6am-5pm. New and used merchandise, clothing, children's items, housewares, jewelry, collectibles, crafts, produce. Food available, restrooms, h/a. (614) 289-2593. Market open April-October. Proctorville Flea Market. Route 7, Hours 8am-5pm. Ample parking. Indoor and limited outdoor market with approximately 200 dealers. Antiques, collectibles, crafts, coins, new merchandise, housewares, sportswear, tapes, lots of used garage sale merchandise. Snack bar, restrooms, h/a. Space from $20. per day inside & $3. outside. c/p Todd Riley, Rt. 4, Box 541. 45669. (740) 886-7606. Wooster Bargain Barn. Rt 30 east. 7 miles east of Wooster. Ample parking. New merchandise, surplus, closeouts, clothing, childrens items, housewares, collectibles. Snack bar, restrooms, h/a. Inside and outside space from $4 a day. c/p Luther Hothem, 531 N. Market, 44691. (216) 682-9058 or 264-3854. Rogers Community Auction & Open Air Market. 45625 State Route 154 West. 8 miles east of Lisbon. Hours: 7am until dark. Large commercial market with average summer attendance of 20,000. Approximately 900 dealers. Outdoor and indoor market. Market has great variety of items. Excellent all around market with a fun, upbeat atmosphere. This is a great market for the dealer, shopkeeper or decorator - an excellent "source" market. Good food, restrooms, h/a, and lots of walking. Auction starts at 6 pm, (general retail consignment auction). Space from $12. c/p Rogers Open Air Market. 45625 SR #154, 44455. (330) 227-3233. Strickers Grove Flea Market. Route 128. 1 mile south of town. Hours 8am-1pm. One mile south of town. Indoor and outdoor market with approximately 50+ dealers. Good selection of small antiques, collectibles, crafts. Lots of primitives, advertising items and used merchandise. Space from $11. per day. Snackbar, restrooms, h/a. c/p Gladys Jordan, 9468 Reading Rd. Cincinnati, OH 45215. (513) 733-5885. Garver Flea Market. 134 N. Wooster Avenue. U.S. Highway 21. Hours 8am-5pm. Free adm. Ample parking. Average attendance 2,000. Approximately 100 dealers. 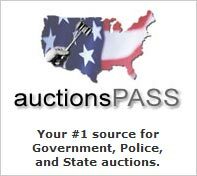 Antiques, collector lines, silver, coins, sportscards, jewelry, new and used merchandise. Food available, restrooms, h/a. Space from $9. Overnight parking. c/p Vic Gessner, 134 N. Wooster, 44680. (330) 878-5664. Bassett Flea Market. 600 Bassett Street. Approximately 150 dealers. Wide variety of new merchandise, used merchandise, farm items. Crafts, collectibles, produce. Snack bar. Camping available. c/p Al Cartier, (419) 729-0601. Outdoor Flea Market. 5260 Telegraph Road. Used merchandise, garage sale items. Plenty of bric-a-brac, housewares, home furnishings, imports, novelties. Toledo Trade Market. 1258 W. Alexis Road. 43611. Ample parking. New merchandise, lots of hot new trendy items. Collectibles, silver, decorator items, glassware. Indoor market. Snack bar, restrooms, h/a. c/p Mike Tatro, (419) 478-1001. "Giant" Outdoor Flea Market. Westgate Shopping Center. Secor Road. New and used merchandise, garage sale items, tools, electronics, imports, crafts, collectibles, produce. Food available. Big B's Flea Market. 7200 Airport Highway. Approximately 50 dealers. Used merchandise, garage sale items, new merchandise, surplus, imports, crafts, collectibles, produce. Food available. Space from $10 per day. c/p Marge Buckley, (919) 865-6669. Farmers & Flea Market. 1500 Navarre Avenue. Used merchandise, garage sale items, housewares, home furnishings, clothing, childrens items, farm items, collectibles. Food available. Flea Market. Langolis Auction House. 640 N. Lallendorf Road. Ample parking. New and used merchandise, closeouts, surplus, electronics, housewares, clothing, used furniture, jewelry. Food available, restrooms, h/a. (419) 698-3412. Tri State Jockey Lot Flea Market. Ample parking. Average daily attendance 4-5,000. Approximately 150 dealers. Large commercial market with lots of new merchandise, used merchandise, mountains of garage sale junk. Collectibles, housewares, childrens items, jewelry, crafts, produce. Food available, restrooms, h/a. Inside and outside space from $10 per day. c/p Dan Calabreese, Box 120, 43964. (614) 537-9241. Flea Market. 1375 Union Street. Hours 9am-5pm. Ample parking. Used and new merchandise, housewares, home furnishings, imports, surplus goods, crafts, collectibles. Snack bar, restrooms, h/a. (513) 339-9387. Antique Show & Flea Market. Fairgrounds. Adm charge, ample free parking. With approx 150 dealers inside and during the summer approximately 150 dealers outside. Market features quality antiques and collectibles and is an excellent all around event. Space from $22. Inside and $11. Per day outside. Snack bars, restrooms, Contact: Steve Goddard (937) 788-2058. Wadsworth Flea Market. Blue Sky Drive In Theater. 959 Broad Street. Market opens at 7am and runs until 1 pm. Large open air market, seasonal, spring thru fall. Books, school supplies, computers, software, gifts, crafts, antiques, collectibles, clothing, furniture. Snack bar, restrooms, ample parking 75cents per car for parking, adm free. Space from $7.50. (330) 334-1809. Flea Market. Jessie's Auction House. Ample parking. New and used merchandise, closeouts, surplus, clothing, jewelry, housewares, childrens items, lots of bric-a-brac. Snack bar, restrooms, h/a. Amish Flea Market. I-77 at Dover exit. Hours: 9am to 5 pm. Free adm and paid parking $1. Indoor/outdoor market with approx 250 vendors. Glassware, antiques, quilts, baked goods, furniture, produce, collectibles, odds & ends, great selection of locally made Amish crafts and quilts. Food available, restrooms, ample parking, h/a. Market is located in the heart of Amish country and is a great place to spend a weekend. Besides lots of Amish style food at the market there are numerous Amish souvenirs and good photo opp's. c/p Ben Mast, Box 172. 44687. (330) 893-2836. Fax: (330) 893-3523. Warren Flea Market. 428 S. Main Street. 44481. Hours 8am-5pm. New and used merchandise, collectibles, decorator items, bric-a-brac. Snack bar. Indoor and outside space available. c/p Alfred Raghanti, (330) 399-8298. Skyway Drive In Flea Market. Levit Road. Ample parking. Used merchandise, garage sale items, new merchandise, home furnishings, decorator items, collectibles, crafts, produce. Snack bar, restrooms, h/a. Oldest Flea Market in Ohio! Flea Market. Queen City Speedway. Ample parking. Antiques, collectibles, new and used merchandise. Household goods, fashions and fashion accessories, imports. Snack bar, restrooms, h/a. Caesars Creek Flea Market. See Caesar Creek listing.